Social media has become a popular way for people to keep in touch with friends, family, and companies, and now healthcare professionals are realizing its outstanding potential as a way to connect with patients. USNews.com reported on how more and more doctors are using Facebook, Twitter, and other social sites to stay in touch and on top. Until recently, hospitals received the most attention for their social media efforts to market their facilities to their communities. 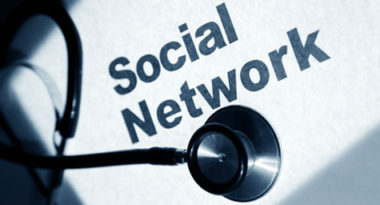 Now, doctors of all specialties have started establishing themselves on social media sites since these online channels make it convenient and simple to connect with patients outside of the exam room. Fortunately, physicians are finding a captive audience on social media. Approximately 20 percent of patients have already started using social media to find healthcare information and advice, according to a recent survey by National Research Corporation. While the comments and opinions of fellow patients can be sources of support, patients have greater trust in the physicians they find on social media and often seek out these professionals for their medical expertise. Most physicians use their social media presence to provide medical news, procedure information, and links related to topics being discussed among patients. Some post success stories and patient testimonials to market their services, while others take a more playful approach with interactive polls and fun announcements about the practice. A recent trend is obstetricians posting photos of newborn babies. Still, many physicians are wary of using their pages to directly engage about a patient’s specific conditions due to privacy concerns. They usually encourage these patients to make private appointments to discuss their particular issues. The primary negative associated with social media is the time it takes to maintain a strong online presence in light of a busy office schedule. Despite the extra effort, many doctors believe that social media is a very worthwhile opportunity and a necessary part of connecting with today’s tech-savvy patient. To learn how to use social media to engage with your patients, contact MDG Advertising today at 561-338-7797, or visit mdgadvertising.com . Our core capabilities include print advertising, branding, logo design, creative, digital marketing, media planning and buying, TV and radio advertising, customer relationship management, loyalty programs, public relations, Web design and development, email marketing, social media marketing and SEO. View MDG Advertising’s creative healthcare marketing portfolio.